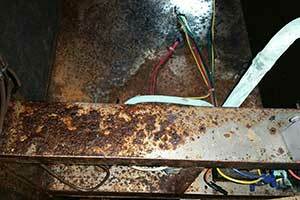 Quite often, pool room dehumidification systems are an “afterthought”. Structures are completed without consideration for controlling humidity, ductwork systems, vapor barrier, negative pressure, and mechanical space to name a few. The cost of preventing problems in the design stage is much less than the repair costs down the road. 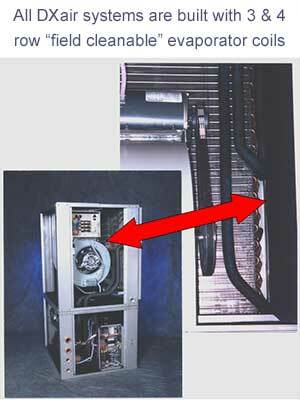 Fresh Air and Air-To-Air Heat Exchanger Systems Cannot Work Under All Conditions. As far back as the late 1980’s and early 1990’s, many clients were convinced that waste ventilation (meaning large exhaust fans and make up air) could be used to control indoor pool high humidity. Some still do today. A ventilation system can only provide effective humidity control for an indoor pool when the outdoor air is reasonably dryer or the same as the indoor air with a lower relative humidity 365 days per year. These conditions rarely exist and pool heat is literally being thrown out the window (hence “waste ventilation” gets its name). Although upfront costs may be less, it soon becomes apparent that operating costs of these old ventilation systems are also the highest when compared to a properly designed dehumidification system. Sizing a system to dehumidify a pool room has two major components to consider. First is the compressor section to meet the evaporation rate based on pool and spa size, water temperatures and activity factors within the pool room. The second and most often ignored is the air turnover rate, (i.e., air handling component based on the cubic feet of space). Many companies size for evaporation but neglect to accurately determine and consider the VOLUME of the room. Inadequate air movement in natatoriums is disastrous due to humid natural air stratification that can cause rapid deterioration of the upper structure components of the pool enclosure. 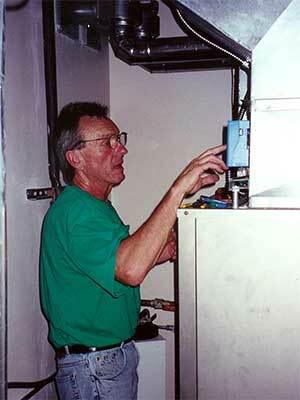 We equate ductwork in a pool room to the “arteries”, with the dehumidification system being the “heart”. Good heart, bad arteries will always result in an unhealthy building with a poor life expectancy. Ductwork design is NOT the same for an indoor pool as it is in a residence or commercial building. In our decades of consulting, close to 90% of all ductwork in indoor swimming pools is inadequate, ill designed, undersized and misapplied. This has become Veri-Dry’s number one priority for all of our clients in new construction and in existing pool rooms. There are a plethora of companies that design and build swimming pool enclosures who tell clients that they do not need a dehumidification system and the heat from the pool will heat the room. There is nothing further from the truth. 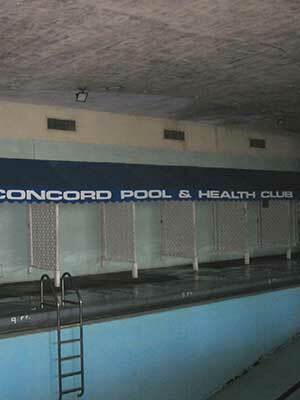 Heating up an indoor pool outside of the normal range of temperatures creates increased evaporation/humidity levels when water is warmer than air; dehumidification may not be sized to handle the increased loads; and this potentially leads to higher operating costs, building damage, rust, corrosion, mold and mildew within the structure. Much like your home or office, you must also heat the space with a secondary heat source. This is always included with the DXair package based on your heating sources available. Many design build companies and architects recommend using expensive building materials to negate the effects of high humidity. This is futile and a waste of money simply because if there is excess humidity mixed with chlorine, it is only a matter of time before all types of so called “water proof” materials and metals fail. Therefore, if a properly designed environmental control system is installed, an enclosure can be built out of standard/conventional building materials and expect the same life expectancy as any other type building. This has been a problem in this industry for a long time. Equipment that has been crammed into closets, crawl spaces, and attic spaces and causes problems for the mechanical firm in the installation process, air flow/ductwork transitions, and further down the road for the client for service/preventive maintenance of the dehumidification system. In some cases we find equipment installed hanging in the pool room! One of the fastest ways to shorten the lifespan of dehumidification systems is to install it over an indoor pool or in the same room as a chemically treated body of water, where, chlorine and humidity can “attack” it on a daily basis. We generally make the comparison of taking a Lexus, opening the hood and leaving it parked on an oceanfront beach for the next 10 years. Would you do that? Of course not! Humidity is nature’s water pump. A suspended ceiling in any swimming pool area is asking for trouble. Moisture can migrate into the dead air space above the ceiling and proceed to deteriorate the structure area above. It can also migrate to other areas of the building. Therefore, any potential dead air space areas must be considered part of the overall environment and must be conditioned to remove the humidity and avoid any potential building damage. When a drop ceiling is in place, it is recommended to ventilate with pool room air, ensure it is insulated above it, ensure that a vapor barrier has been installed on the warm side of the pool room and address negative pressure. Drop ceilings can be ventilated; however; there are really no guarantees when drop ceilings are utilized. Veri-Dry recommends that drop ceilings be avoided when feasible to do so. 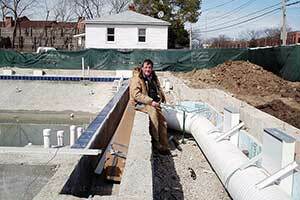 Veri-Dry, Inc. is an expert in the natatorium industry. Our DXair Pool Room Dehumidifiers are designed exclusively for use in indoor swimming pool applications: From lap pools to schools, rehab centers, fitness facilities, to large hotel/resort indoor natatoriums and water parks. Anywhere humidity needs to be controlled, Veri-Dry provides a perfect balance of solutions for building and equipment with the DXair System—365 days a year.